Founded on the premise of being “flipped between reality and illusion”, social media magician extraordinaire Zach King performs an entire array of splendid tricks, fascinating both adult and child viewers alike. From turning a T-shirt to a life vest and inflating emergency slides using a straw, the video is a delightful bag of surprises. The airline has nailed how to turn an important message into a easy-to-understand and engrossing clip that will leave you relaxed and cheered up for your flight. Using green screens that are lined up with beautiful spaces was Air New Zealand’s approach to combining technology and nature in its storytelling. Featuring Hollywood celebrities, Cuba Gooding Junior and Katie Holmes, the video enjoyed 105,000 views in the first three days of its release. By condensing the safety video into a palatable teaser, Air New Zealand understood powerful marketing comes through teasing the trailer and influencers, before reining in a larger audience. Sick of the cliched sea views and urban classes decked in white? Royal Caribbeans carve a new niche in its storytelling by getting online influencers to share their unique experience onboard their cruises. Using influencers such as High on Life and Dan Moore, they show that being on a cruise has a sense of thrill and adventure and isn’t limited to passive sunbathing and holding your cocktails. The breathtaking views of Vancouver are not given their due when captured on linear video so the folks behind Destination British Columbia stepped up their gears. A multi-dimensional immersive video was launched to give visitors the feel of the slopes and the peaks. Viewers have the freedom to choose which of the hotspots they wish to interact with and by clicking on one, are able to view skiiers going downhill with life-like audio and action. Travel is increasingly running out of ideas and tourism boards across the world are thinking of new ways to market their destinations as new and exciting. Sweden is doing something true to itself and yet highly original — the latest Visit Sweden campaign is adept at showing the country’s natural landscapes whilst emphasising its well-being and relationship with nature. Taking real-life visitors with stressful jobs and placing them into a glass cabin, they have their problem solving, blood pressure, creativity and breathing measured by experts showing the link between the environment and balance and wellness. It’ll make an exceptional Instagram story and beats any ad or postcard! Video logging (otherwise known as vlogging) has been a successful marketing channel, having been picked up by clients including airlines (Turkish Airlines), the food sector (Sainsbury), movies (Kingsman) and technology brand (Google). Targeting millennials who wish to see immediate results, vlogging is a compelling and engaging way of increasing visitors’ duration on the site and their overall trust and proximity to the brand. Travel vlogger Devin Graham (Team Supertramp) cuts to the chase with memorable storytelling that strikes at viewers’ emotions in their vlogs of Nepal and Bhutan. 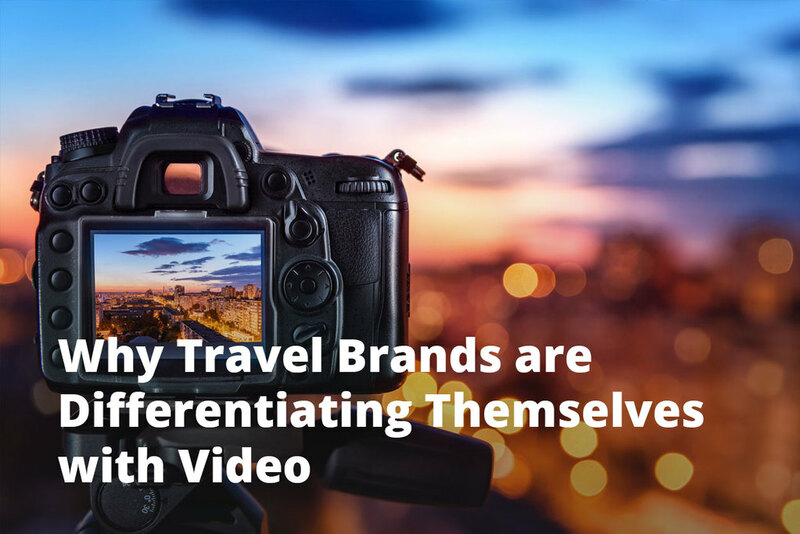 Travel brands are leading the way when it comes to video marketing to connect across platforms and to multiple markets as well as stay on top of their social media competition. From spicing up safety videos and immersive video to real-life experiential marketing and vlogging, travel players are constantly pushing boundaries. Look forward to more travel players optimising emerging platforms, exploring new ways of driving brand awareness and using a clever, innovative mix of visuals and storytelling to captivate audiences.